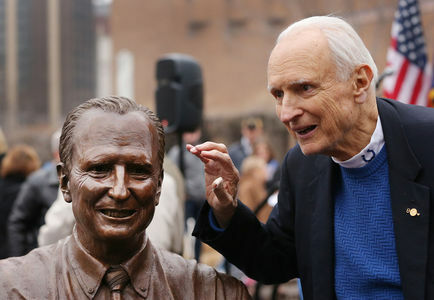 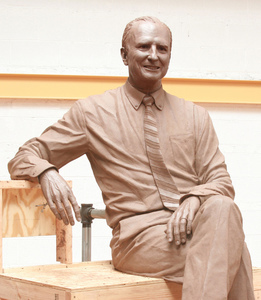 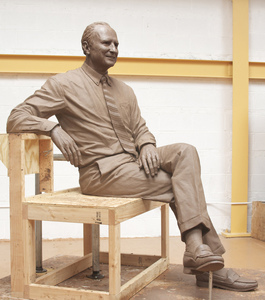 A 7.5 ft in proportion bronze sculpture of the former mayor of Indianapolis William Hudnut III. 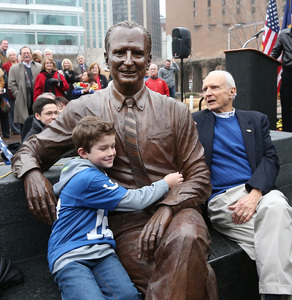 He's shown sitting in a relaxed pose in the Hudnut Commons Park in downtown Indianapolis. 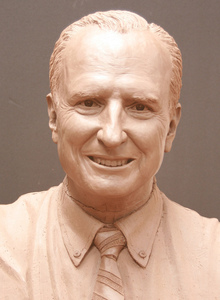 This work was awarded to us after winning a nationwide competition. 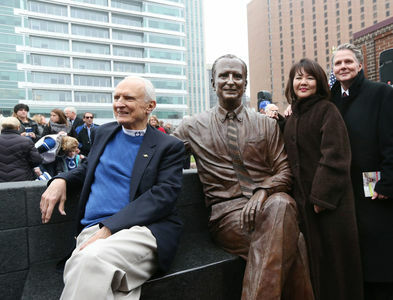 This sculpture was officialy dedicated and unveiled in December of 2014.